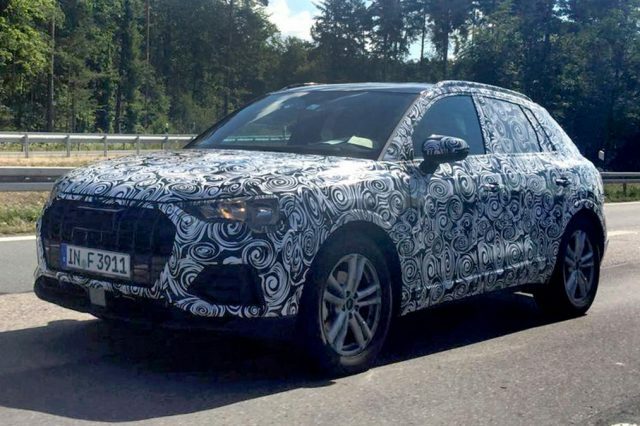 These are the first spy shots of Audi’s pre-production Q3. The luxury compact SUV appears not to be as compact as it’s the predecessor. That’s largely thanks to the new architecture. Yes, the second-generation Audi Q3 will switch to the MQB platform, which will make is a bit larger from the outside and significantly roomier inside. 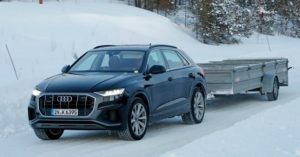 Interior space is the biggest issue of today’s model, so we are not surprised at all with the manufacturer’s decision to make the 2019 Audi Q3 larger and longer. This way, the crossover will be able to go into a fair fight against BMW’s X1 and Mercedes-Benz GLA. 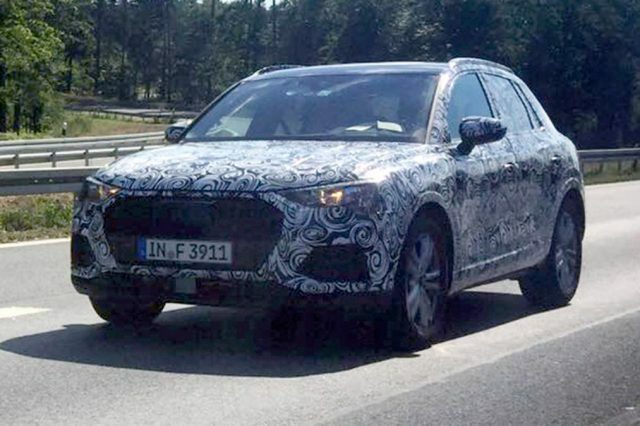 Aside it’s going to feature a few additional inches of length and between front and rear wheels, the 2019 Audi Q3 will look totally different from its predecessor. The first thing we noticed is a pair of new headlights, which look really attractive, yet they are not as shiny as we expected. As you can see, the prototype uses halogen headlights, but we are sure the production model won’t use the lights. Instead, the base model will probably rely on Xenons, while the higher trims should get full-LED treatment. The grille you are looking will likely receive some additional changes. However, it’s quite clear it’s going to be a bit larger from the current one. 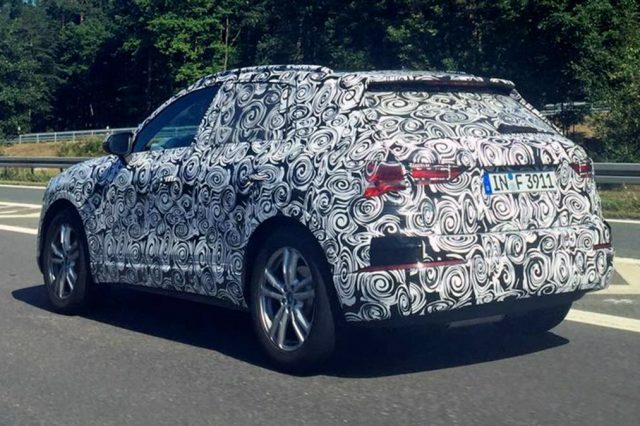 By looking the testing vehicle from the side, you will definitely notice that the new SUV features pretty much the same profile as the larger Q5. Around back, the 2019 Q3 seems to feature a unique, dynamic rear hatch with really massive bumper and a pair of sharp taillights. As we see it, the high-riding vehicle might look even better from the back than from the front. The car manufacturer is still hiding what’s going to be under the hood of the 2019 Audi Q3. However, our insider told us that the SUV should sport a new base unit, most likely a 1.0-liter TFSI engine. Even though it doesn’t sound tempting at all, the mill will definitely do the job because the new generation Q3 should be significantly lighter from today’s model. The crossover won’t stop there, of course. The automaker will also offer a 1.4-liter TFSI, as well as a 2.0-liter gasoline unit. 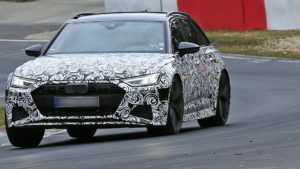 The topper will likely use a 2.5-liter five-cylinder TFSI engine, while the oil-burner model should rely on 1.5 and 2.0 liters mills. The manufacturer won’t skip the chance to add a hybrid powertrain as well. The system will combine a 1.4-liter TFSI engine and an electric motor, but we have no idea how many horses will get the option. No matter which engine the SUV will use, it’s going to be paired to a seven-speed dual-clutch auto transmission. Of course, Audi will offer quattro four-wheel drive as an option. Although most of the latest reports suggest the new generation Audi Q3 is going to be introduced at this year’s Frankfurt Motor Show as the 2018 model, we don’t believe it’s going to happen. Instead, the redesigned crossover might come up next year at 2018 Geneva auto show.